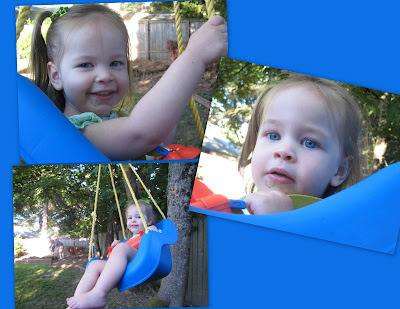 Our girls have sure loved the backyard swing. Kathrine has loved to go high from the beginning. "Higher Daddy, higher", she screams as daddy pushes higher and higher. It is tiring sometimes but the smile on her face makes it worth it.